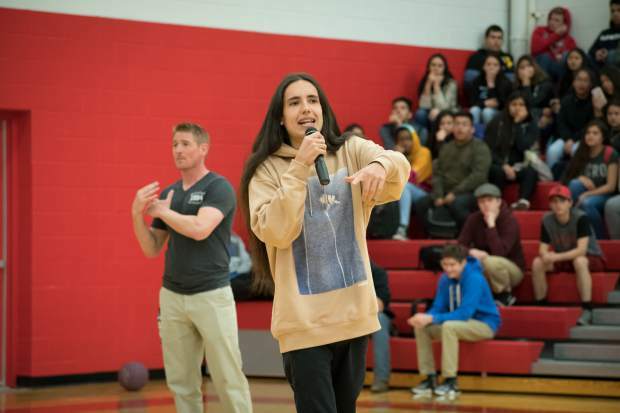 Xiutezcatl Martinez speaks to students at Glenwood Springs High School on Thursday morning. 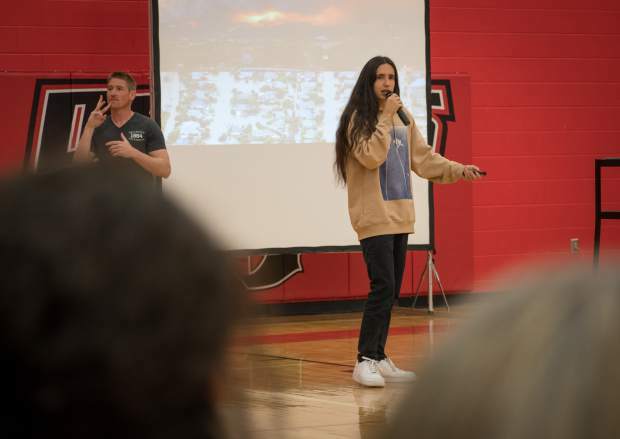 Students at Glenwood Springs High School listen to Xiuhtezcatl Martinez during his presentation on Thursday morning. 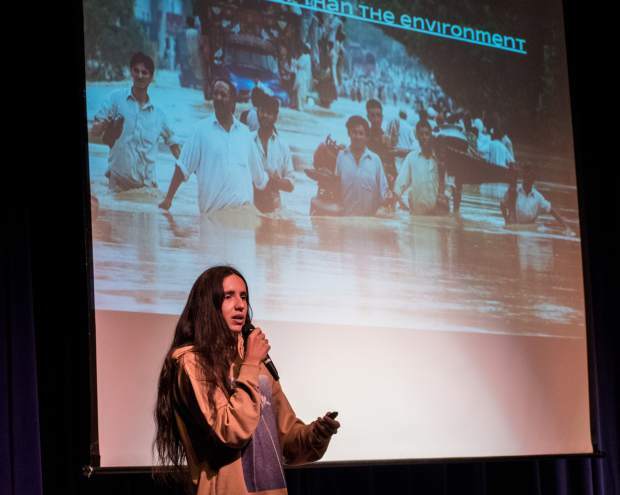 Xiutezcatl Martinez speaks to students at Roaring Fork High School on Thursday morning. 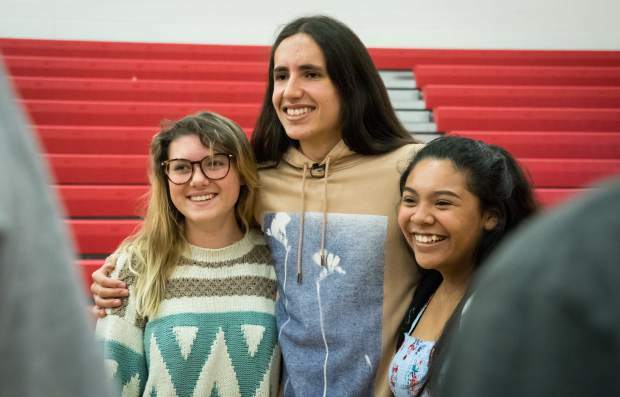 Xiutezcatl Martinez takes photos with students at Glenwood Springs High School after his presentation on Thursday morning. 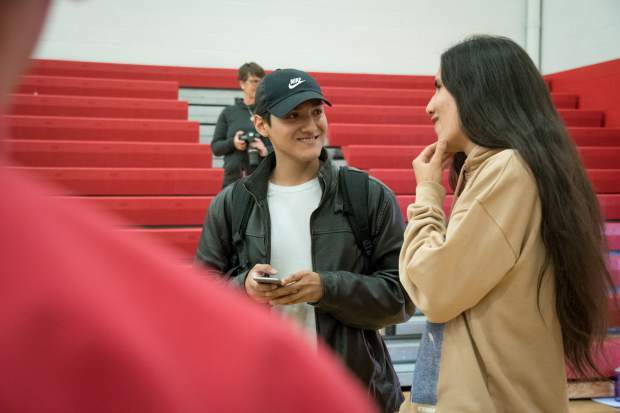 Xiutezcatl Martinez talks with Glenwood Springs High School senior Kevin Gonzalez after his presentation to the school on Thursday morning. His activism started when he was just six years old. 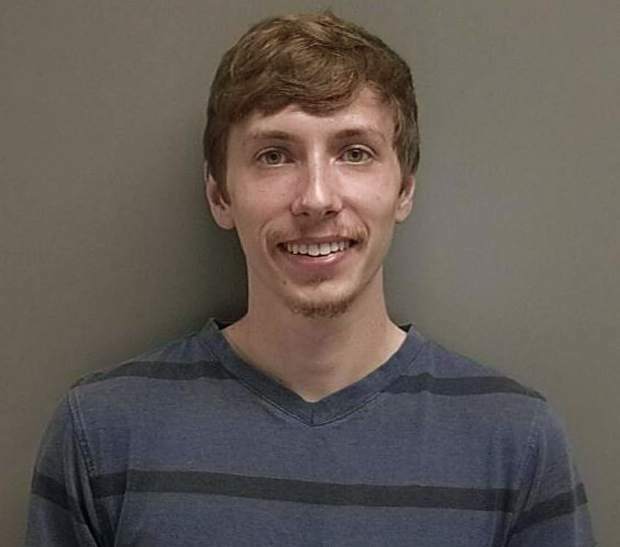 He’d witnessed his own parents’ and siblings’ involvement with environmental activism within their community and in no time, he says he also felt the urge to step up to the plate. “I was like, ‘Mom, how can I get involved? 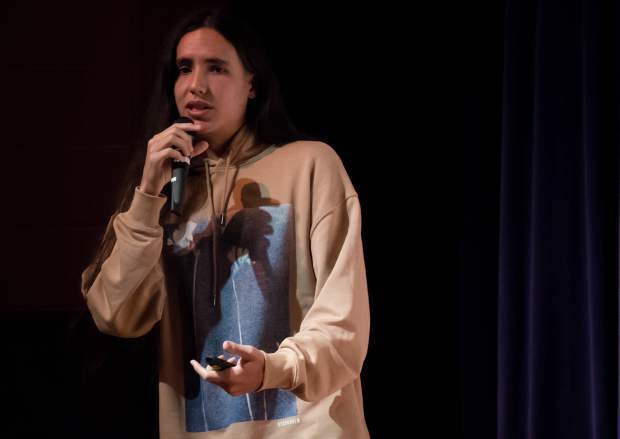 How can I speak out and be a part of this?” said Xiuhtezcatl Martinez, now 17. He published a book last September, and his desire to speak in front of youth in various schools has brought him to Australia, New Zealand, Germany, Sweden, Peru, Brazil, and the list goes on. 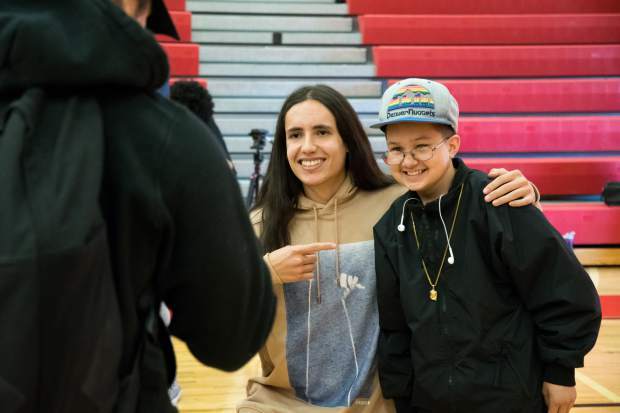 But he says what keeps him going is connecting with other young people who are on the same or a similar path, that have a vision of creating a better world. 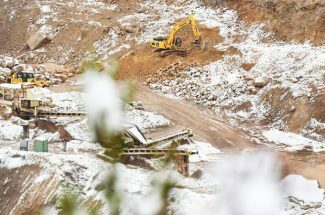 Although his activism has taken him all over the world, the indigenous Aztec says he has a special connection to Colorado since he was born in Boulder and raised between there and Mexico City. He and some of the students that attended the event share a perspective; there’s no better time than now to discuss the effects of climate change in the state. 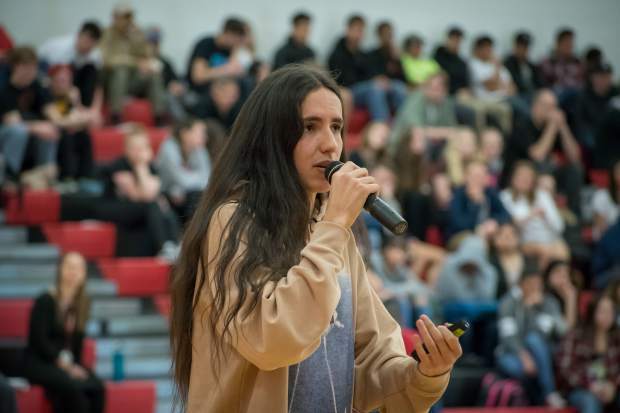 “I got all of my information here and I know a lot of my peers did the same,” said Iliana Castillon, senior at Roaring Fork High School, and president of the school’s energy club. 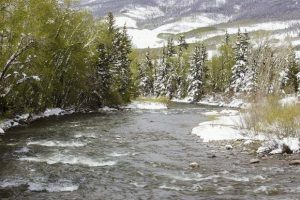 Lara Whitley, communications manager for the Roaring Fork Valley resource conservation group Community Office for Resource Efficiency (CORE), says she helped set up the event to encourage students to save energy. 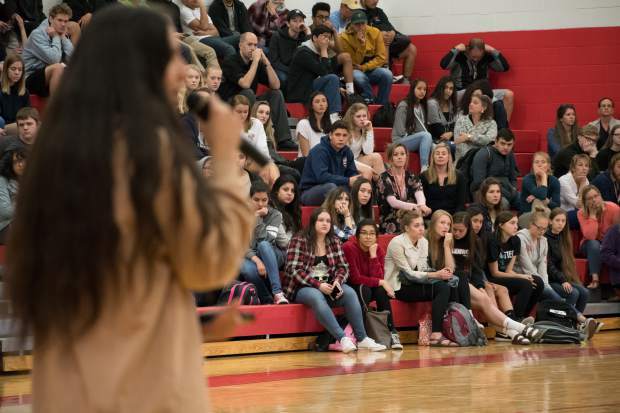 Aspen High School, Glenwood Springs High School and Roaring Fork High School will compete for a $2,000 scholarship as well as other grants starting this Saturday as aper of the Changemakers Challenge. The winning school, with the most participation, will be announced mid-May. 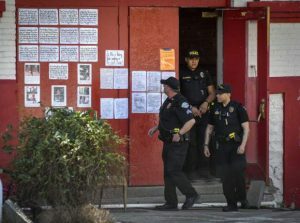 He says he thinks it’s important to see Martinez acting as a role model and showing youth that this is not necessarily something they could become when they’re older, but something they can be right now.